LG may have a solid income from elsewhere, but its mobile division is causing a lot of problems for the brand. Will the LG G7 save the day? Not necessarily. LG G7 hands-on: LG's newcomer is finally official! LG have been around for a long time, celebrating its 71st year last January. The firm is still doing well, and financial results showed a 20% increase in profits in the first quarter compared to last year. This result is not only above expectations, but it's also the highest the brand has achieved in the last 9 years. These results are mainly due to the television department, which is where LG is the most successful, ranking as the 2nd largest TV producer in the world. But this success is somewhat tainted by its mobile division, which has fallen considerably in the last few months. This is a cause for concern, and LG is trying different ways to change it. LG G7 ThinQ: which carriers will it be available through,and when? It used to be a case of changing the production and marketing cycle in order to offer smartphones only if necessary, for example, if it demonstrates a real evolution in technology. However, this didn't stop LG from presenting the LG G7, which apparently was paused at first because it wasn't up to expectations. The smartphone does use some interesting technologies, but it would be an exaggeration to say that it stands out from anything else on the market. It seems that LG has contradicted itself when saying smartphones would only be released when necessary. LG is well aware that consumers have the last word: they decide if they will buy a product. The brand decided to propose a survey to determine whether or not they wanted a design with a notch. This design feature, hated by many, was still implemented on the G7, so we could guess that those who participated in the survey were not listened to. There is a small solution however, where the background can be changed in order to hide it. The notch doesn't look great, but I could get used to it. Will the G7 become a success? When a product does not sell, the company tries to understand why. LG was interested in the market trends, and also in its problems. For example, the fragmentation of Android versions: users should receive regular security patches and phones compatible with new versions of the system should receive them quickly. To solve this problem, LG decided to open an update center designed for doing just that. The G7 is undoubtedly a beautiful phone, which follows the market trends. Like the competition, Artificial Intelligence is used in the camera, but in our first test of the phone, the result isn't perfect because colors and objects tend to be mixed up. Hopefully this is an error LG will solve before the G7 hits the market (the one we reviewed is a pre-production unit). Another feature highlighted by LG is the resonance system in the speaker, that improves the sound when the smartphone is placed on a flat surface. Is this feature useful? Perhaps to some users, but I'm guessing that most people will still prefer a portable speaker. Nevertheless, it's an interesting idea. Are you looking for a smartphone with integrated AI? Under the hood, it has state-of-the-art hardware, from the high-end Snapdragon 845 SoC, to a Quad DAC Hi-Fi sound and as explained above, artificial intelligence. On the software side, it has Android 8.0. All of this is the same as the competition. Sales will tell us if this smartphone is winning the hearts of the public, but at first glance it hardly stands out from the competition. The market is tough on manufacturers: as interesting as the G7 is, it's still lacking something that would give it the edge over Apple or Samsung devices, and decisions are often made based on the brand, not necessarily the quality of the phone. What do you think of the new LG G7 ThinQ? A launch price of $600 will give this phone a fighting chance. Otherwise, it will be another G5/G6 sales-wise. I think the V40 with a 4000MAh removable battery would have a better chance of saving LG than the G7 thin. When LG comes to mind I think of my 2 bootlooped phones of the past. I have finally learned my lesson with LG phones, never again. 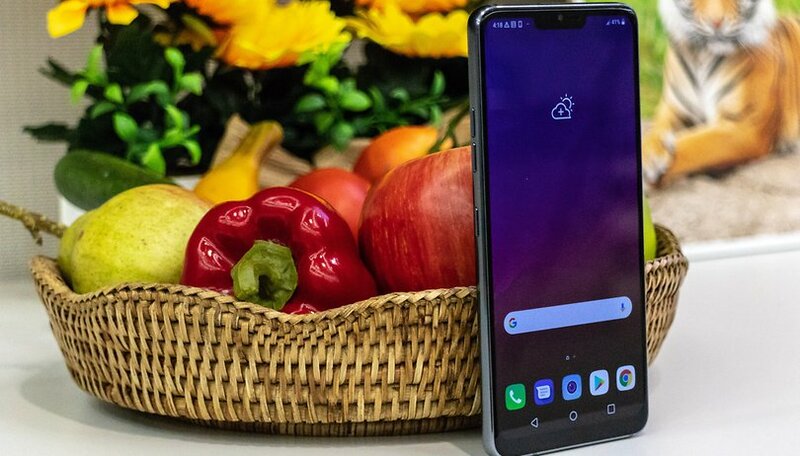 The LG7ThinQ seems to be an average flagship with no new innovations. Can this phone help them? I highly doubt it. Cloning Apple's notch is definitely not a road I wish to travel. Plus with the notch there are certain apps you can't block so the notch prevails. Kinda of stupid if you ask me. And I'm very sure it won't come cheap!